Most people know that staining is done on wooden accessories like the kitchen cabinets. However, it is also very much possible to apply to stain on your concrete surfaces. It is one of the best ways to give your concrete floors an elegant look. The custom designs that artists create for custom concrete staining will bring an appealing look to your masterpieces. There is no need to produce opaque and solid effects when stains have the capacity to infuse your concrete surface with rich and translucent tones. It is one of the best approaches if you want to enhance the aesthetic appeal of your home. 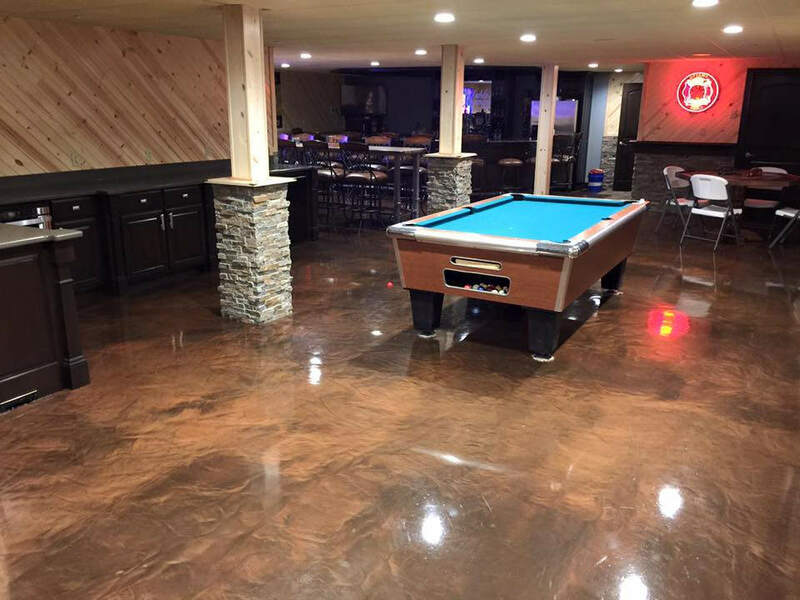 You can apply custom staining on any type of concrete floors. Some of them include your pool decks, outside patios, garages, mudrooms, countertops, and basements. You can basically apply concrete stains on all your concrete floors to give them an artistic touch. It does not matter whether you are dealing with the interior or exterior of your home. One thing that custom staining brings to your home is adding an excellent value. Stained concrete floors are highly affordable than wood staining flooring. The costing od custom staining is closely equal to that of a carpet yet it brings long-lasting results and more appeal to the home. It is one of the best consideration when you want to add real value to your home. Gone are the days when someone will tell you that concrete only brings a dull grain surface into your house or office. Custom staining now allows you to use the concrete materials to add real value into your home. The other advantage of concrete staining is that it is extremely durable. Everyone wants value for his or her money when installing any flooring system. You don’t want a flooring system that will call for repairs after a few months and concrete knows how to do this quite well. the surface is highly durable and is not going to let you down any time soon. Custom staining is one of the few finishes that are going to last you for decades. Try it now and you can be sure of having no regrets. Variety is one of the things that people look for when shopping for the best flooring for their building. No one wants something that is highly limiting because we have different tastes and preferences. You want to get a shade that will blend seamlessly with the overall theme of your house. Concrete staining is the way to go because it has an endless list of color options. These coloring choices extend from the subtle earth tones like terracotta and tan to the wide spectrum on those bright hues. You are free to choose anything as long as it sounds well for your finish. One drawback of concrete surfaces is the fact that they are porous. Thanks to custom staining because it gives the concrete surfaces the much-desired waterproof nature. Unlike other floors like tiles, stained concrete floors don’t have any grout. The implication is that there is no way water will seep underneath. This could be one of the features that you have been looking for in your floors. You can easily deliver it through the use of custom staining. Custom stained floors have impervious barriers to spills and this makes them pet and kid-friendly. You cannot easily expect these floors to turn into a hazard in your home. It’s always good to seek professional advice before you install these floors in your home. You need a surface that will bring true value of custom staining in your home. You also want to bring a highly skilled and experienced team to work on your custom floors. http://www.customconcretorlando.com is a good starting point if you are shopping for the best custom staining surfaces.